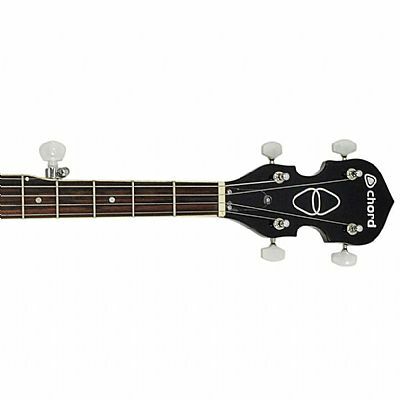 The Chord BJ-5G 5 String Banjo produces a quality sound, with great tone and projection. 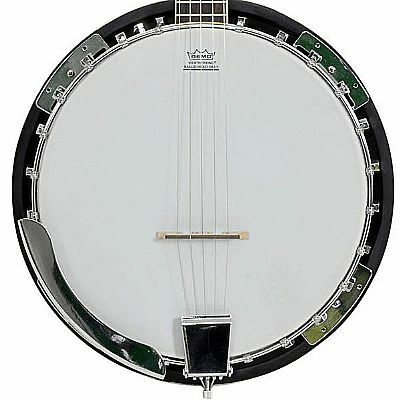 This traditional 5 string banjo is a pleasure to play, with high G string for bluegrass and finger picking styles. Body and neck are mahogany with a rosewood fingerboard. The Remo coated drum head forms the sound board, supporting a floating bridge. Tuning is served by 4 open geared tuners at the headstock and a closed geared tuner for the high G. A fully featured instrument for folk and country music genres. 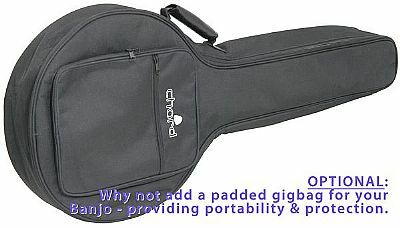 Famous of course for it's use in traditional folk music, the banjo's versatility has also proved popular with it's use in contemporary rock and pop music too. Features include: Gloss mahogany back. Remo head & Fingerboard inlays.